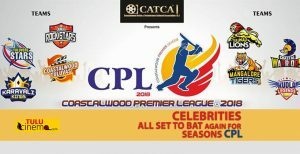 Ganesh K. led, Shrvan Kadri star capped Tulunad Lions lifts Coastalwood Premier League 2018 Trophy here on Sunday. Final cricket clash happened between Tulunad Lions and Coastalwood Warriors held on Sunday 04 February at Nehru Maidan. Mangalore under Floodlight, in the finals Lions successfully chased 98 runs target which were set by the opponent team Coastalwood Warriors. 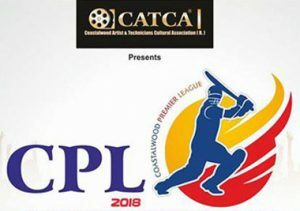 Eight teams were participated in VIKAS College sponsored glamorous cricket league “CPL-2018”, winning team Tulunad Lions gets rupees one lack and CPL 2018 trophy. Coastalwood Warriors gets Runners-up award, Ashish Ubar of Tulunad Lions gets an Man of the Match award. For the overall performances Prajwal Shetty of Coastalwood Tuluvas gets Best Fielder Award, Top scorer of the tournament Rajath Shenoy of Tulunad Lions bangs Orange Cap, Highest wicket taker Shiva Bhat of Tulunad Lions gets Purple Cap. First seasons top scorer Rakesh Dilse gets a highest number of sixes in the tournament award.